Vacation rental lodge. 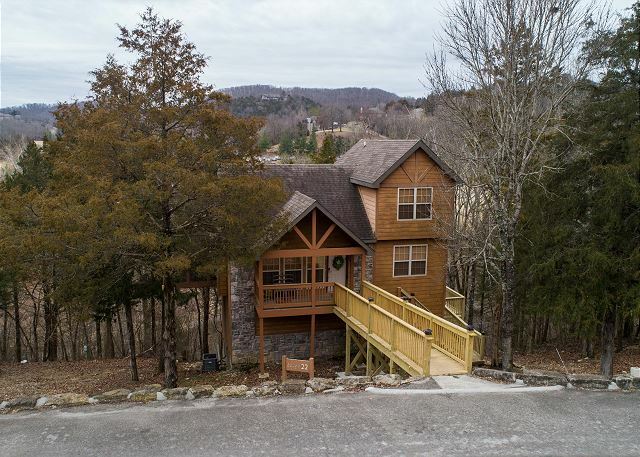 Sleeps 10, 4 bedrooms, 3 bathrooms. No pets allowed. 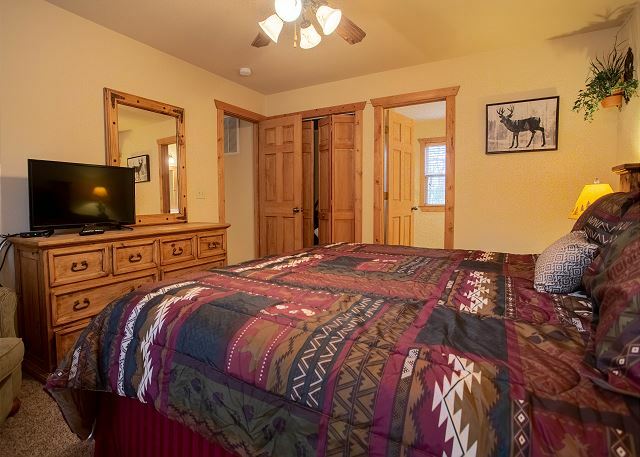 Take a step into tranquil relaxation when you stay in this charming lodge! 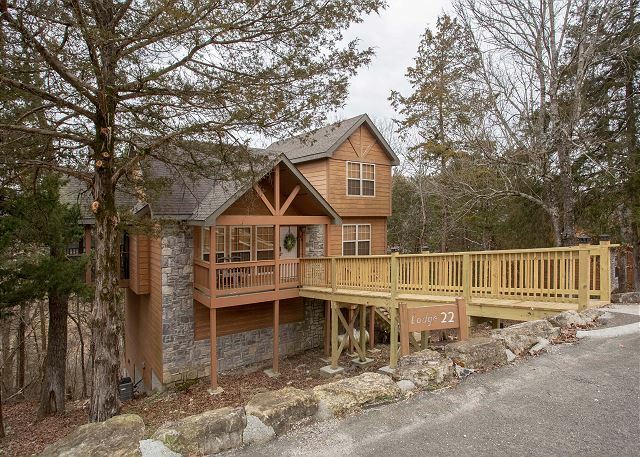 Located only a couple of miles from Silver Dollar City, this lodge is the perfect vacation destination when it comes to family-friendly fun! It's not far from other options either: find yourself only minutes away from Indian Point Marina, where the lake glistens, the sun shines, and the bass play all day! Drive a bit farther to visit Downtown Branson and all the entertainment it provides! No matter who travels with you, there's something they'll love to do in Branson! 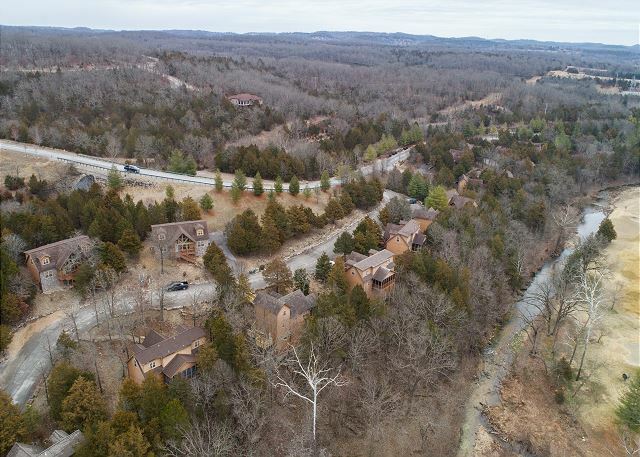 And Stonebridge Resort is one of the finest communities in the area with tons of amenities such as the Ledgestone Golf Course, tennis, and swimming pools. If you want to grill that bass from Table Rock, you'll find community grills throughout the resort with playgrounds nearby. There's even a grill just steps from this lodge! Regardless of how you spend your vacation, you still need a place to lay your head. This lodge is amazing not only for its location, but for its comfort. 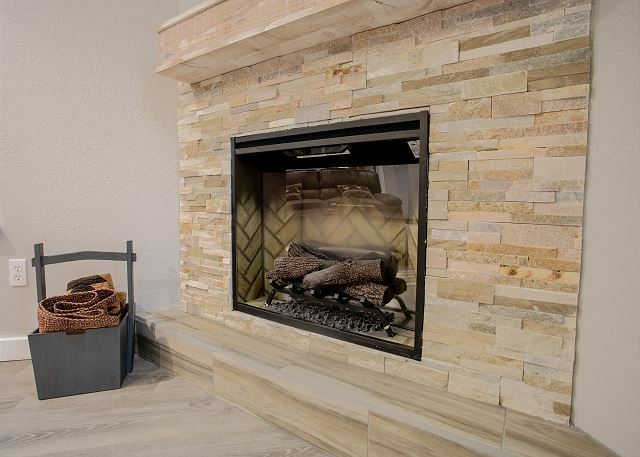 Stretch out and be comfy in the rustic living room, curling up by the crackling fire place as you watch your favorite shows on the flat screen. 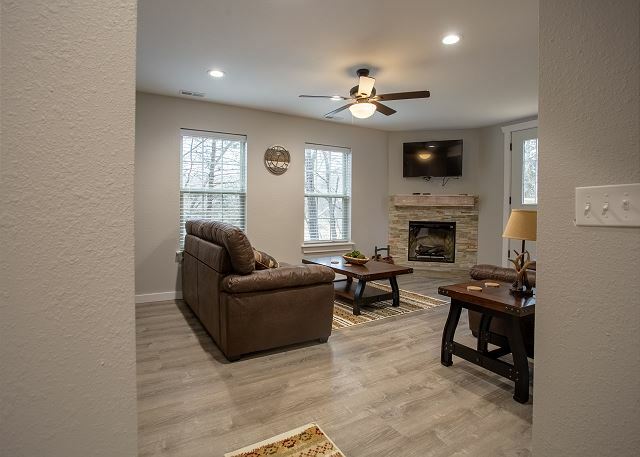 Regal wood flooring and the charming decor gives this unit a woodsy feel, which blends in perfectly with the atmosphere of the Ozarks. 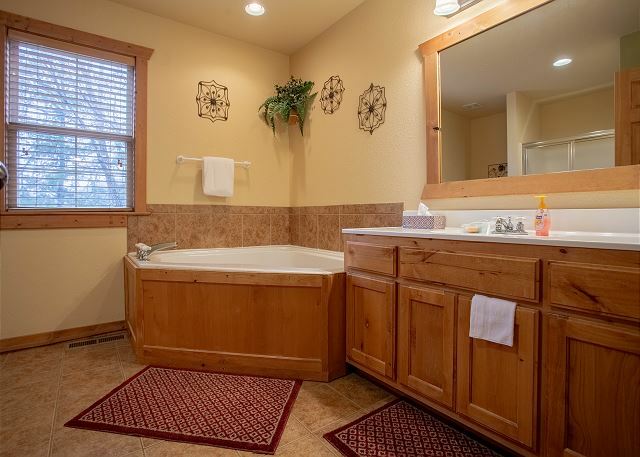 Rest soundly on one of the plush beds, or sooth yourself with a rolling bath in the jetted bathtubs. 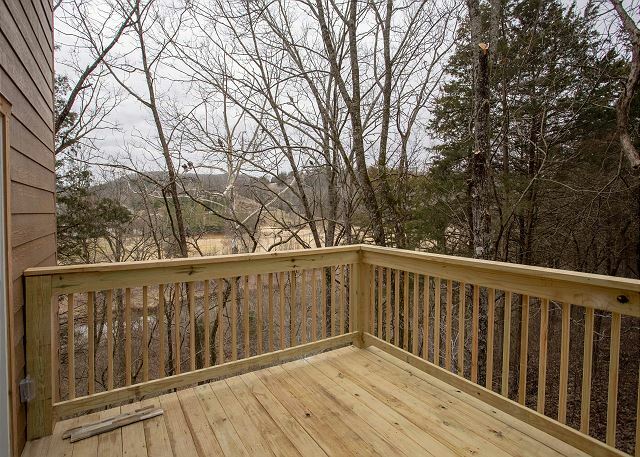 Make sure to take in the sounds of nature in the screened in deck, listen to the woods whispering around you. If the breeze isn't blowing, don't worry. 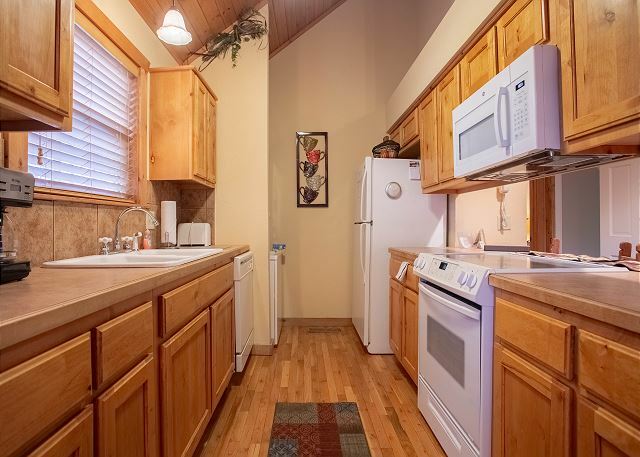 There's an overhead fan on the deck to keep you cool while you take in the serenity. Your vacation is important, and so is your down time. Make sure your home-away-from-home leaves you feeling pampered by staying at Whispering Woods Lodge today!